Between an abandoned orphanage and a contemporary container hotel, Failed Architecture traces a history of solitary urban living in Amsterdam. Like many cities in Europe, Amsterdam experienced dramatic demographic shifts after World War II. In the decades after the war, the city lost almost 20 percent of its prewar population. Many of the remaining families moved away from the crumbling inner city toward the outskirts and new satellite towns. Only in the past few years has the city’s population rebounded to prewar levels. Meanwhile, the social composition of the city has changed radically. In 1947, multi-person households outnumbered single-person households by a ratio of 10 to 1. Today, single-person households account for 55 percent of all households and their share is growing. From students and young singles to elderly people and even business travelers looking for “a home away from home,” single occupancy is increasingly the norm. The overheated real-estate market and influx of tourists amplify the effect, forcing even more people to share flats or opt for ‘micro-apartments’. Ever since the end of the war, planners and architects have tried to accommodate these demographic changes and the ongoing atomisation of society. But while the postwar period was characterized by the ideological conviction of the importance of community building through architecture, and fostering trust and familiarity among cohabitants, more recent developments have either dismissed any notion of shared space or become so exclusive that their so-called communal areas have become the sole domain of the (lonely) happy few. Five buildings throughout Amsterdam—from the interconnected cells of the Structuralist buildings to today’s modular student housing and pod-hotels—exemplify the historical development of “living alone together.” Through these buildings, we can reflect on 60 years of changing housing ideals and witness the persistence of an architecture that rejects traditional family life. Aldo van Eyck, Amsterdam Municipal Orphanage, 1955–1960. "A home for children, a place where they can live rather than survive." Officially completed in 1960, this orphanage provided a home for approximately 125 children. The original plan attempted to host a built framework – a stage – for the co-mingling of the individual and the collective without resorting to arbitrary accentuation of either one at the expense of the other. All departments, service spaces, and rooms for special activities open onto a large interior street, inviting the children to mix and move as they wish, from one area to another. Hundreds of variously sized cupolas express van Eyck’s ideas about relationships between the part and the whole, small and larger worlds, and unity and diversity. The domes were a direct reference to the architecture of the Dogon people of Mali, which had a profound impact on van Eyck. The Dogon consider their complete habitat to be a reflection of nature; the basket, the house, the village, and the universe are all organized by the same principals. In this animist approach, van Eyck realized that the “symbolic meaning [of the world and its elements] is likewise expansive, for they represent man, city and universe all at once”. "If society today is not able or willing to build cities for citizens (children), on what ground do we deem it a society?" Until 1986, Amsterdam Municipal Orphanage housed children without parents. Meanwhile, views on orphanages and child upbringing had changed and the orphanage became increasingly outdated. By 1986, plans were devised to partly demolish the building. Public protests prevented this from happening and instead the city decided to renovate the building. When asked to make adaptations, van Eyck was very reluctant to do so; the building was fine the way it was, he protested. For him, any such flexibility or adaptability of the building would have purported a “false neutrality”. This rigidity would have a lasting impact on the building. After the renovation, which van Eyck was indeed involved in, the building retained its original function for a short while. From 1990 to 2000, however, it housed served as the initial home of the postgraduate architecture school, the ‘Berlage Instituut’ (founded by Herman Hertzberger). Since then, it has stood empty, isolated from nearby large-scale urban developments. Several owners have tried to bring it back to life and restore some of its original qualities. In 2014, the orphanage building was designated a national monument, further protecting the site from modification or redevelopment, and but also at the same time preventing the building from regaining its original social function. Most likely, the building will be rented out to one of the many law firms or financial institutions who have discovered this part of the city, which used to be on the outskirts and is now in the heart of Amsterdam’s rapidly expanding Central Business District. Herman Hertzberger, De Drie Hoven, 1964–1974 (partly demolished 2014–2015). "In terms of its social function, it’s still an incredibly interesting building." De Drie Hoven was a retirement home for the elderly. According to the building’s architect, Herman Hertzberger, the objective of the complex was to create a real home, one that was warm and open to people, where elderly people with different needs could live together, and where people from the neighborhood could also use the communal facilities. All sections of the building converged at a large central square containing a launderette, a shop, a café, and a library; this allowed residents to buy all their necessities in the ‘village’ shop without having to leave the premises. The building also included several shared living rooms, allowing for larger family gatherings that would normally have taken place in cramped apartments. Herman Hertzberger, De Drie Hoven, 1964–1974, (partly demolished 2014–2015). "It’s an example of a building that is disappearing, but which will be needed again in the future." Although the open layout of the building and its mix of public and private spaces were well received at first, the building’s Structuralist ideals are now being eschewed because of an increased demand for privacy and security. Nowadays, many older people want to stay in their own home for as long as possible, and if they are forced to move, they prefer larger semidetached retirement homes. 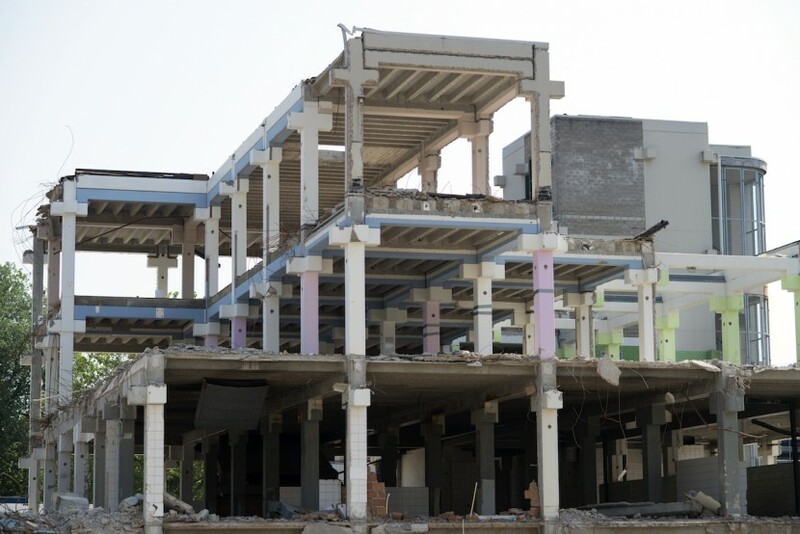 For this reason, and because of a slew of technical shortcomings related to a working conditions act, renovating the outdated building was no longer an option. Now, three-quarters of the vast complex is being demolished and will be replaced with a series of freestanding apartment blocks. 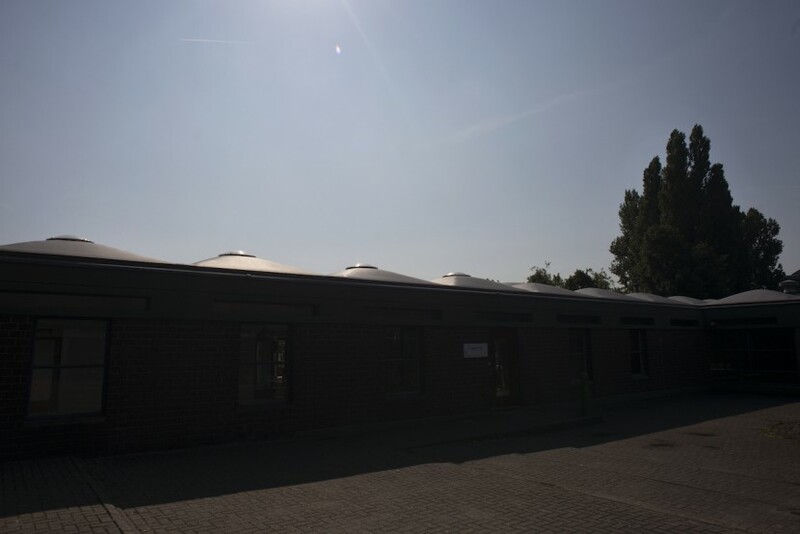 Hertzberger resents the demolition, saying: “I still think that De Drie Hoven is helping to reduce the number of elderly and disabled people that feel isolated and lonely”. This article was originally published in Harvard Design Magazine #41. Te Kiefte Architecten, Student Container Housing at NDSM Wharf, 2005. "After years at sea, the containers were rusted and dented but ready for reuse to house people instead of products." 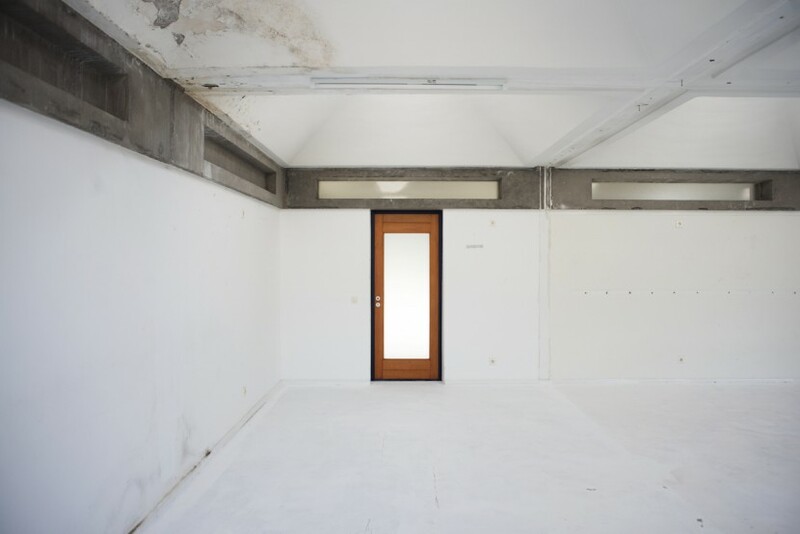 Ever since World War II, there has been a considerable shortage of student housing in Amsterdam, despite the construction of large student complexes filled with ‘living groups’ of 10 to 20 rooms and communal kitchens and dining rooms. In an attempt to solve this housing crisis – caused in part by the destruction of the war but also a growth in the city’s student population – in the early 2000s the local authorities gave various social housing corporations permission to construct multiple temporary student complexes made from stacked shipping containers. These containers, no longer sea viable, were transformed, one-by-one, into well-isolated, self-contained housing units, each with a bathroom and kitchen, a window on one side and a door on the other. As single urban living has increasingly become a societal norm and collective student housing is seen as a thing of the past, these containers immediately became a popular option. 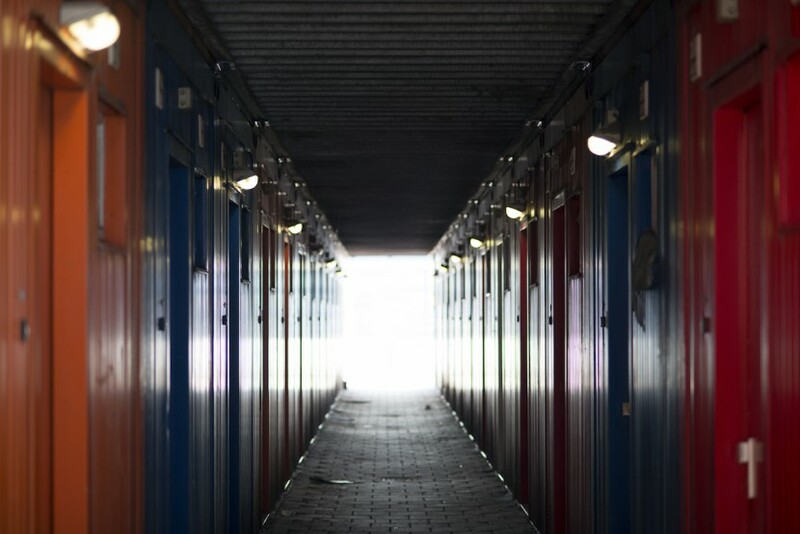 Container villages dot the outskirts of Amsterdam, grouped together in large blocks without a single square meter of communal space, but with enough space to house up to 4,000 people. While these governmental, non-for-profit container villages follow a similar logic of repetition and interconnectivity to van Eyck and Hertzberger’s buildings, they lack any manifestation of shared space or ethos of communality. Concrete, citizenM Amsterdam Hotel, 2009. "True nomads are not confined to anything other than their own possessions and rules." Over the last decade, the shipping container has become the basic unit for a wide range of new developments across Amsterdam. Apart from nonprofit student housing, many for-profit real estate developers have used them for both temporary and long-term projects. CitizenM is a global hotel chain that started in Amsterdam in the late 2000s; it builds all its hotels around the world using containers. These hotels are marketed toward young, constantly traveling “global nomads,” who choose to live in more than one city at the same time. Like the student container housing, citizenM hotels are stacks of ultra-compact, single living units; but instead of solving a pressing housing shortage, they house those who freely roam the world. While the container hotels contain structuralist aesthetics of repetition and modularity, users are reduced to isolated consumers. Van den Broek & Bakema, Trouw Building and Parool Tower, 1970 (converted to the Student Hotel by Penta Architects in 2014–2015). "Evolution of people and evolution of circumstances ask for evolution of buildings." Amsterdam’s centrally located but rather unremarkable Trouw Building was designed by Jaap Bakema’s firm, whose ideology, like Van Eyck and Hertzberger, was closely aligned with structuralism. Like the work of his colleagues, many of Bakema’s buildings have been dismissed, abandoned, and often demolished. 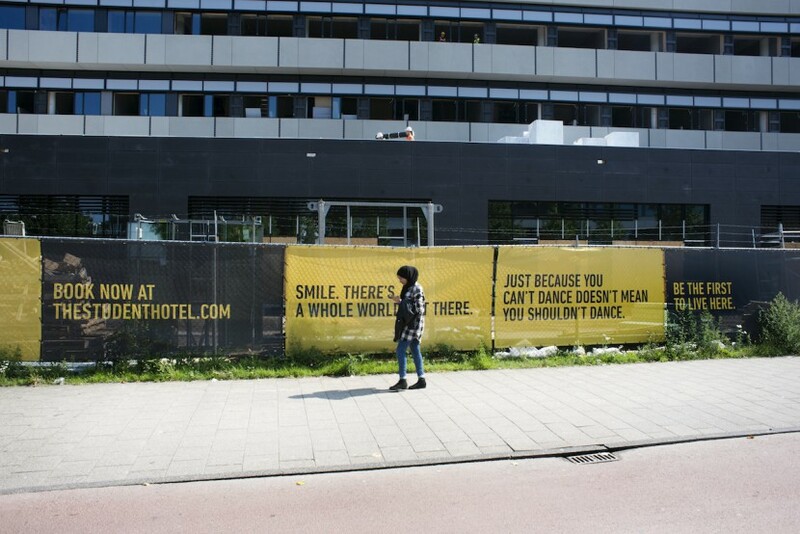 The Trouw Building, which originally housed its namesake newspaper and later a club, among other things, has recently been spared this fate, adapted into the Student Hotel. Unlike the student containers, this high-end, luxury development declares itself to be a space “where the needs of the demanding 21st-century student and today’s design-savvy traveler meet in dynamic harmony”. The Student Hotel does have several communal spaces (kitchens, gyms, and study and living rooms), but community here becomes a commodity, accessible to those who can afford it. The frugal lux of the hotel has proven to be a scalable business model, and property locations currently include Amsterdam, Rotterdam, Liège, and The Hague, with further expansion planned for sites in Paris, London, and Madrid, among others. While the open-ended structures of the Amsterdam Municipal Orphanage and De Drie Hoven did not stand the test of time, more recent atomizing housing projects don’t seem to have learned from their ill-fated predecessors. Any sense of communal living has been done away with or turned into an exclusive product—or, in the words of citizenM’s marketing speak, a “modern hybrid in hospitality”, “best enjoyed by all mobile citizens of the world—those who love affordable luxury, great showers, huge beds, free movies and Wi-Fi”. What happens to our sense of home or community life in these types of super-efficient and endlessly expandable structures of hyper-individuality, in these boxed beehives that are sold to people who, according to citizenM, “would rather survive on their own terms and with their own skills and regulations”? Although hugely successful, these typologies will inevitably contribute to increased social isolation of individuals, spatial segregation of groups, and to the overall atomisation of society. Left alone in our containers and capsules, we all become orphans of the urban family. Thomas, thanks for your comments. We don't equate structuralist buildings with contemporary student housing in terms of shared spaces: "while the postwar period was characterized by the ideological conviction of the importance of community building through architecture, and fostering trust and familiarity among cohabitants, more recent developments have either dismissed any notion of shared space or become so exclusive that their so-called communal areas have become the sole domain of the (lonely) happy few". And we also don’t think the structuralist buildings were complete failures. However, they didn’t live up to the promises of openness and flexibility suggesting they actually would survive the cycle of abandonment and re-use. The main point then is that the contemporary examples mentioned in the article where people ‘live alone together’, don’t seem to have learned from that specific failure. 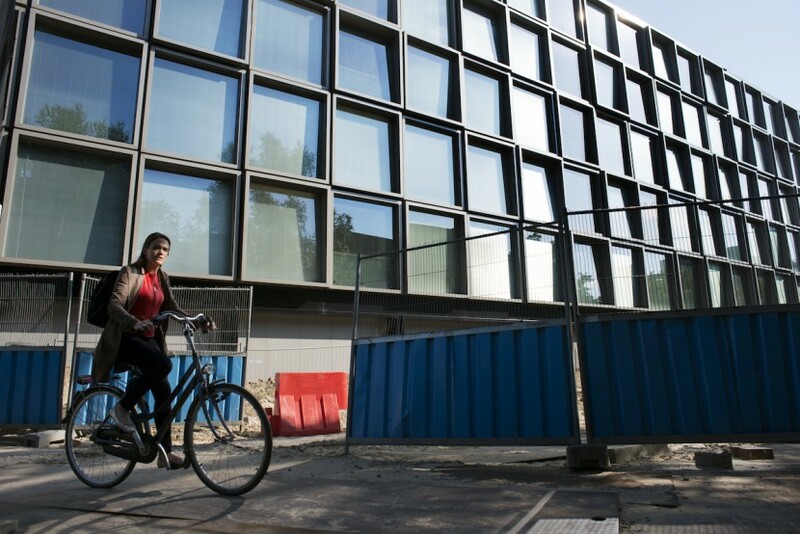 What is a bit odd about this article is that the efforts of structuralist architects such as van Eyck and Hertzberger are equated with student housing made out of shipping containers. The latter has virtually no communal facilities or public or semi-public space, whereas the former intended to design private, semi-public and public space carefully. If this is an attempt to prove that structuralism doesn't work there needs to be more in-depth analysis than these casual observations. The relationship of the individual with the community or society at large has shifted, as the writers observe. Individuals are now seen as consumers and no longer as part of a larger social fabric. I don't think structuralism can be blamed for these changing relationships. Furthermore, all buildings go through a cycle of use, abandonment and re-use or re-appraisal. If these works have failed in a deeper sense than this regular cycle, i.e. that they don't allow for flexibility than that is a valid argument. To prove complete failure one should actually conduct interviews with users, inhabitants or the orphans in order to find out. To just point out that the buildings are now empty is not evidence enough that the architects did not fulfill the brief. After all, the Drie Hoven did function for 40 years.